SHANGHAI, April 15, 2019 /PRNewswire/ -- The International Surface Event (TISE), the largest North American floor covering, stone, and tile industry event, will launch Surfaces and Design Event China (SURFACES China). The event will be held at the Shanghai New International Expo Centre from December 11 to 13, 2019 and is organized by Informa. China has one of largest construction industries in the world. It is currently the largest importer of natural stone blocks, and the world's largest producer, consumer and exporter of ceramic tiles. With favorable government policies, rapid urbanization, a growing population and government investment in infrastructure, China's construction industry is expected to gain bigger growth. Chinese consumers are also paying more attention to customization, new materials, eco-friendly products and unique designs. As a result, the market demand continues to change and grow. "China accounts for a significant share of the global construction industry. With the China market expected to gain even bigger growth, there is the potential to reap huge benefits for the industry. It is our goal to provide the most professional and effective events possible to help our customers grow and develop new business opportunities. We are excited to be working with our experienced trade show team in China to produce this event for the stone, tile, and floor covering industries," says Amie Gilmore, CEM, The International Surface Event, Informa Markets. "TISE is a very influential exhibition of floor covering, stone and tiles in the world. China Chamber of Commerce of Metals, Minerals & Chemicals Importers & Exporters (CCCMC) is the country's leading association for metals, minerals, construction materials, chemicals, hardware and rubber products with over 6,000 members. 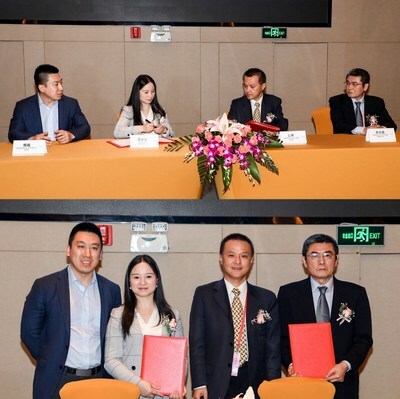 CCCMC will join hands with Informa China to introduce the SURFACES China into China's construction industry, and strives to connect the industry together. This exhibition will become a key platform in the industry where in overseas companies can enter into China market and where Chinese companies to start to explore overseas market as well. SURFACES China will play a vital role in fostering exchanges between local and overseas companies and promoting the development of foreign trade in the industry," says Jiang Hui, Vice President of CCCMC. "With the launch of SURFACES CHINA, Informa Global Exhibitions China's construction and building portfolio will cover a wider-scope of products and services to serve the industry. 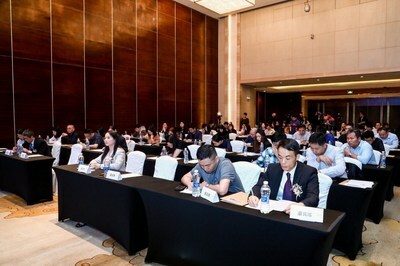 SURFACES China will not only be an exhibitions, but will feature seminars to introduce industry innovations and trends for floor and wall covering products. 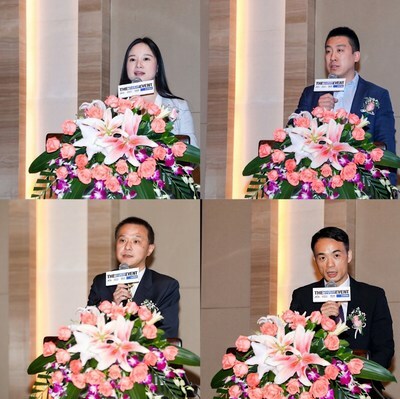 The fair aims to maximize the in-depth discussions and collaboration between industry professionals and promote the healthy development of the construction industry in China," remarks Athena Gong, Managing Director, Informa GE China. In early 2018, Informa merged with UBM, the world's leading trade show organizer. The merger of two UK listed companies formed the New Informa Group, the world's largest exhibition company, with total market value of over £10 billion. Informa hosts over 500 leading B2B exhibitions, covering 15 core fields including technology, health, biochemistry and pharmaceuticals, life sciences, beauty, construction, transportation, maritime, food and hospitality, furniture, agriculture, advanced manufacturing, jewelry, yachts, and pop culture. As the largest exhibition organizer in China, Informa China hosts nearly 30 leading B2B shows in Shanghai, Shenzhen, Guangzhou, Chengdu, Ningbo and Zhengzhou.